In early December I designed my first circuit board, a simple USB breakout, and submitted it to OSH Park for fabrication. While this is my first board and I don’t have any other experience, I have a feeling it's going to be tough to beat the OSH Park experience. 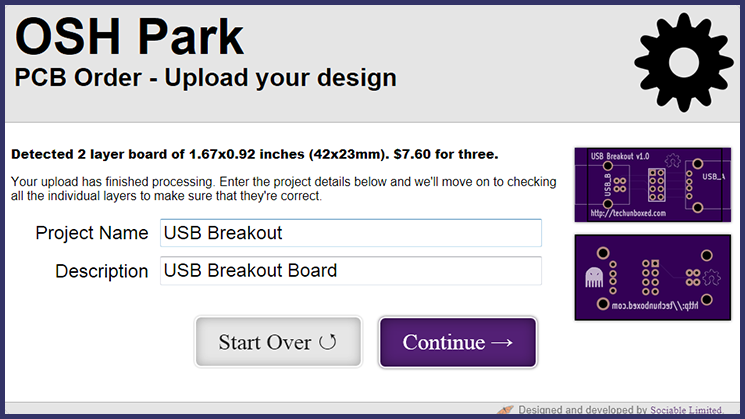 I created my design using the, open source, KiCAD design suite prior to researching OSH Park’s design rules. 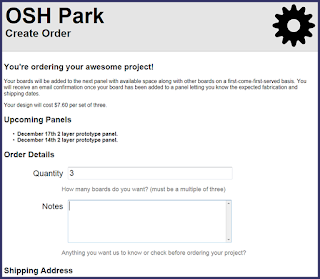 OSH Park supplies a design rule file for CADSoft’s Eagle, but with KiCAD I had to manually make sure things like trace width, spacing, and other specifications were within their tolerances. 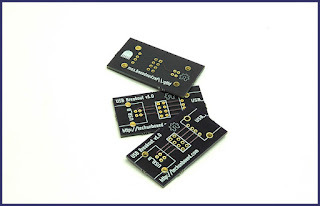 In retrospect I should have taken the design rules into consideration when designing the board, but I hardly had to make any changes to meet the requirements. 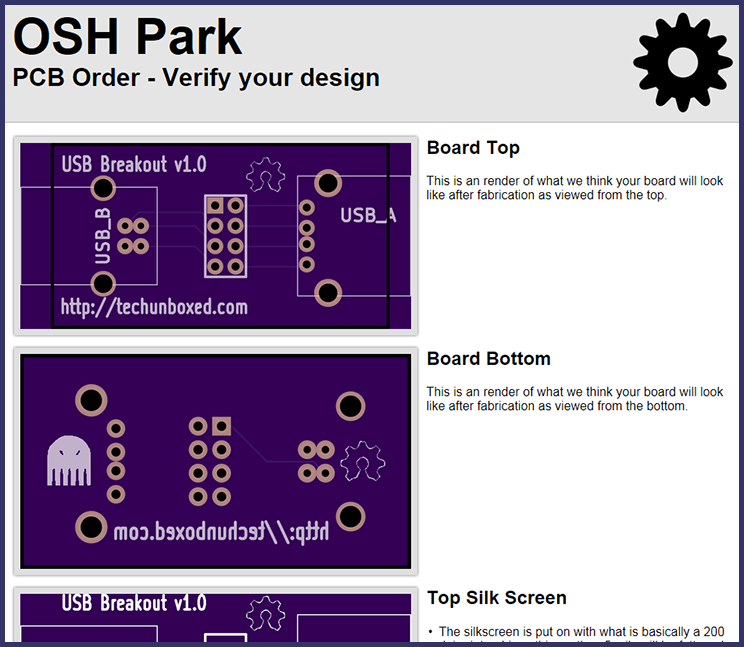 OSH Park claims that their site attempts to recognize Gerber files from a range of PCB design software. 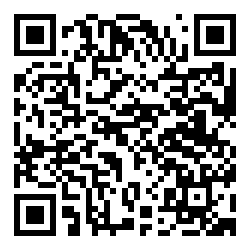 I renamed the Gerber files that KiCAD generated to match OSH Park’s submission guidelines, just to be sure, before zipping them up and submitting them to the website. The system takes the uploaded files, processes them, and displays how the board will look. Obvious mistakes are immediately apparent, and I had an obvious mistake on my board which I elected not to correct at the time. After submitting and verifying the board, it was just a matter of placing the order and waiting. I couldn't wait to get my circuit boards. The waiting was made somewhat more bearable by regular emails from OSH Park that detailed where my order was in the process: Payment received, Assigned to panel, Panel sent to fab, Panel received from fab, and finally… Order shipped. It only took a little more than two weeks to get my boards, but I was eager to see what I had created. When I got the boards in hand, they were exactly what I had expected. The quality of the boards is excellent and I’m completely satisfied with the OSH Park experience. I’ll definitely be using them for future projects.